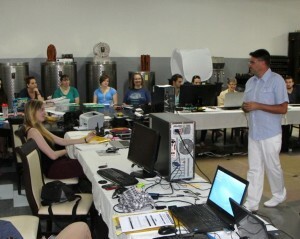 The Balkan Heritage Foundation supports numerous research and/or conservation projects (currently in Bulgaria and Republic of Macedonia) such as excavations, expeditions, conservation and documentation workshops, contributing to the study, preservation, promotion and utilization of the Cultural Heritage of the Balkans. 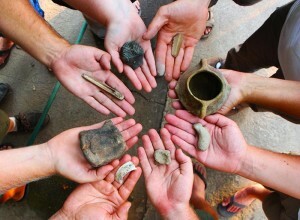 Volunteer work camps supporting cultural heritage protection – in cooperation with history museums and municipalities. In 2008-2009 four work camps took place in Bitola (Macedonia), Stara Zagora, Dragoman and Mezek (Bulgaria). The Balkan Heritage Foundation organizes campaigns for raising public awareness on local heritage issues. It is involved in the development of regional strategies for the utilization and management of cultural heritage and development of cultural tourism for municipalities in cooperation with local museum, government and non-government organizations and stakeholders. Reached Donation Goal for the RTI Dome Building Campaign! We are proud to announce that the campaign for gathering the necessary funding to build an RTI dome was successful and we have raised the needed 4000 EUR (approximately 4530 USD). We are grateful to all of our alumni and supporters all around the world that helped us with raising the amount for the support, protection and conservation of Balkan cultural heritage! https://balkanheritage.org/wp-content/uploads/2019/04/RTI-dome-8824-8959-1030x579-1.jpg 768 1084 Dr. Nayden Prahov https://balkanheritage.org/wp-content/uploads/2019/03/logo.jpg Dr. Nayden Prahov2019-04-01 13:44:162019-04-23 12:21:08Reached Donation Goal for the RTI Dome Building Campaign! 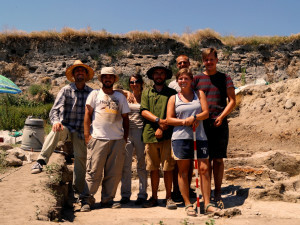 In partnership with the Balkan Heritage Foundation, New Bulgarian University will now offer an MA program in Balkan and Eastern Mediterranean Archaeology. The program is a new path for graduate students to explore the history and culture of the Balkans deeper and further and includes the possibility of a continued PhD degree. An Exhibition celebrates the partnership between BHF and the Archaeological Museum "M. Domaradzki"
An exhibition about Emporion Pistiros was organized to summarize the results of the collaboration field school projects at Emporion Pistiros (since 2013) and Roman Road Station Bona Mansio (since 2016) between BHF and Archaeological Мuseum “Mieczysław Domaradzki”, Septemvri. https://balkanheritage.org/wp-content/uploads/2019/04/42723469_2161911670723093_9114279150276837376_n-8644.jpg 640 960 Dr. Nayden Prahov https://balkanheritage.org/wp-content/uploads/2019/03/logo.jpg Dr. Nayden Prahov2019-01-01 13:24:552019-04-23 12:25:04An Exhibition celebrates the partnership between BHF and the Archaeological Museum "M. Domaradzki"